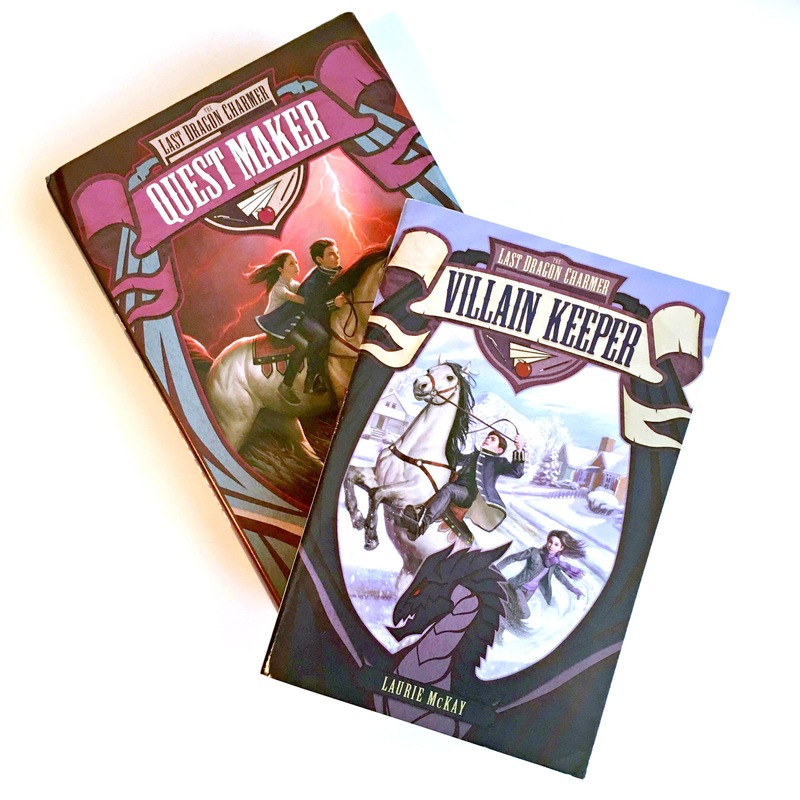 Harper Collins Childrens' Books recently sent me two autographed copies of the first two installments in Laurie McKay's fantasy series. The three-part series is marketed to children ages 8-12. McKay has a bachelor's degree in biology and a master's in biological oceanography, and works as a professor. If you think you know a young reader who might be interested in her books, here are the details. Once Prince Caden does, he will finally become an Elite Paladin like his seven older brothers. But there is one big thing standing in his way: he has been mysteriously transported from his home in the magical Greater Realm to Asheville, North Carolina. Now he is stuck in a land with no magic--and no dragons. Or so he thinks. Caden finds that his new school in Asheville may be the center of some unexpected and dangerous magic after all. With the help of his own elusive magical gifts--and some unlikely new friends--Caden must defeat the evil, save himself and everyone he loves, and find his way home." "For the second time in Caden's life, King Axel hugged him. Caden's bed was unmade from when his father had roused him. The embers in the fireplace crackled. In the flickering light, his sword and staff collections cast odd shadows on the stone walls. Caden didn't hurry. He yearned for the honor that came with the title Elite Paladin more than all else, but such quests didn't start at night and in secret. When his seven older brothers had left for their quests, it had been under the bright winter sun and to the cheering of crowds. They'd all been at least fifteen turns, not twelve. Now the kingdom was asleep. Until a moment ago, Caden had been asleep." Caden, eigth-born Prince of Razzon, had been waiting his whole life for the day he would be sent to slay a dragon. But when that day came, mysterious magic transported him from the Greater Realm to Asheville, North Carolina--a seemingly normal land with a dark and magical secret. Asheville, it turns out, is home to the most dangerous villains ever banished from his homeland. And a great and powerful Elderdragon rules them all. But Caden finds that his destiny may not be to slay a dragon, as he's always believed. Now an unexpected visitor arrives in Asheville, and Caden suspects that dark forces are conspiring on both sides of the magical divide. Asheville is in danger. So is Razzon--and Caden's family. 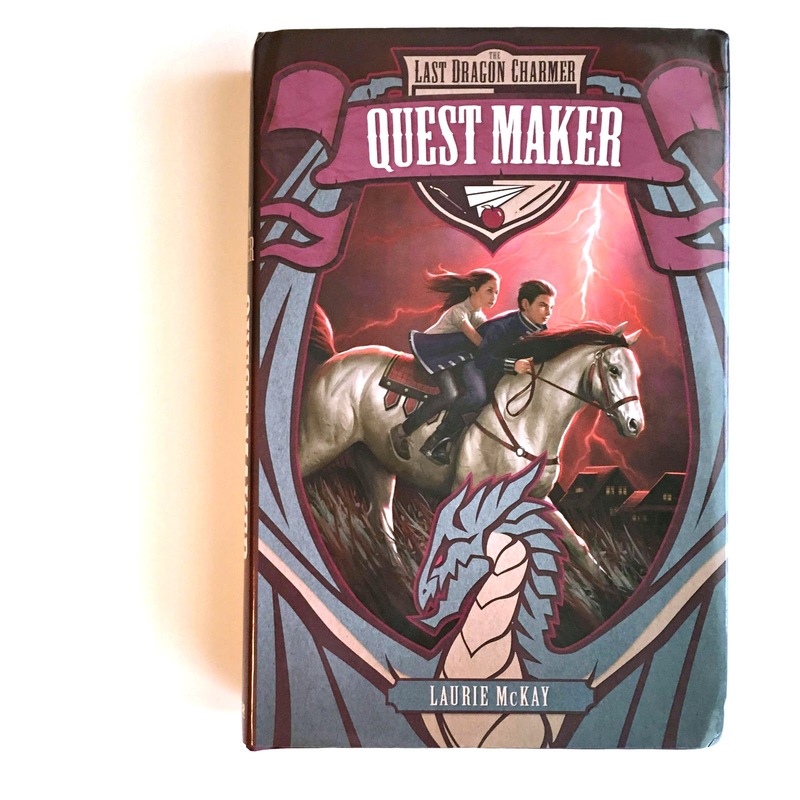 The Elderdragon gives Caden a quest: uncover the dangerous plan, return order to Asheville, and protect the Greater Realm from banished villains hunger for revenge. Because in order to find his ay home, Caden first has to save it." "There was magic on the night wind, and it wasn't the good kind. Caden knew from the acrid smell, from the way his skin itched. He stood on the mountainside, peering down, and listened to the tree branches creak and the leaves rustle. In the valley, the city gleamed with scattered yellow streetlights. The rectangular buildings looked asleep. Above, the three-quarters moon was half-hidden by clouds. Suddenly, the sour scent grew stronger. Caden felt goose bumps pucker down his arm. There was a thunderous crack and the sky shattered. Red tendrils streaked across it. Everything--the trees with their spring leaves, the buildings below, the sky above--was bathed in a sickly red glow. Magic born of hate and anger often burned red like those passions. He was witness to a spell, and it was one backed by brutal emotions." The third and final installment in the series, Realm Breaker, will be published March 7, 2017 and is available for pre-order. What do you think? 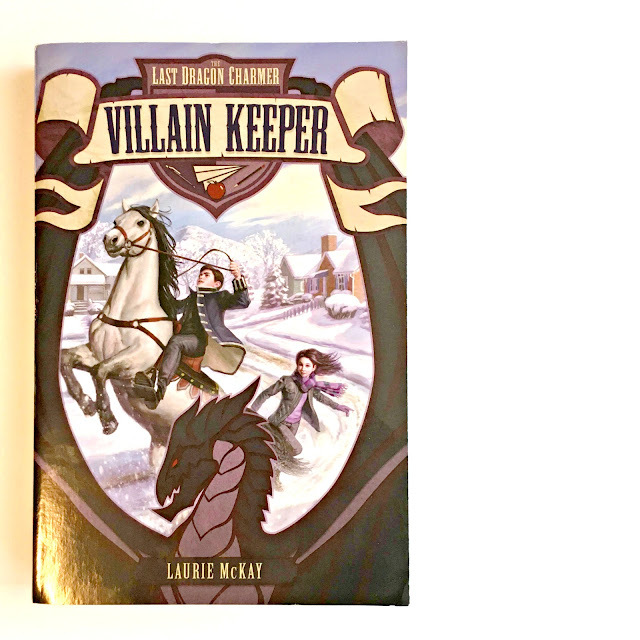 Does Laurie McKay's middle-grade series sound interesting to you?